Early stages of user research and creating personas. Task at hand: the Mimi website and social media should reflect the Mimi brand and user research. The brand is a bit limited so a b(r)andaid and thoughts on design is needed in order to achieve the goals we set out and for everyone to have a common ground. Early moodboard and low fidelity prototype. The biggest challenge was to present a new engaging website based on new content to the current framework. The work was designed alongside ongoing discussions on brand updates and customer research. I worked closely with the developer to address the limitations of a redesign. New thoughts on branding, typography and the grid gave room for a more consistent and flexible layout. We extended the colour palette to bring more energy and emotions like sensitivity and humor to the overall communication. 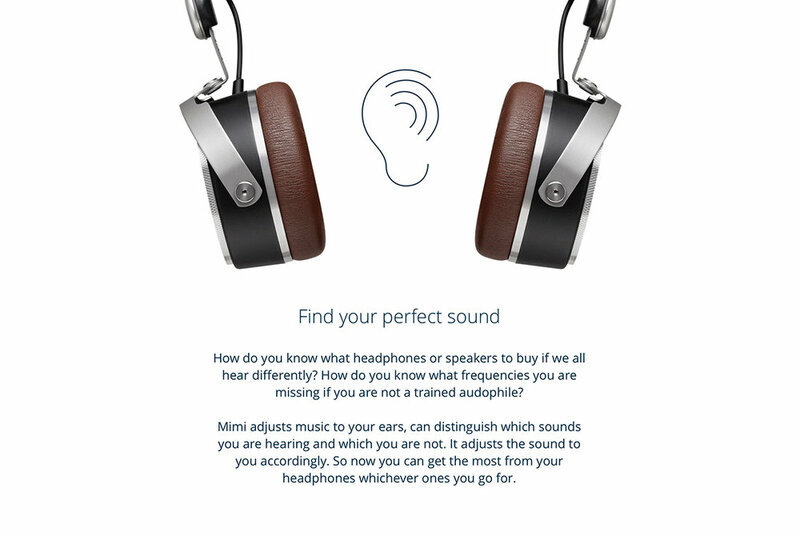 Alongside of working with the website and SoMe I attended weekly meetings to contribute in the development of the MIY-app-integration of the Mimi Hearing technology for the Aventho headphones by Beyerdynamic. We experimented with simple, clean and vibrant visuals to draw attention in SoMe.